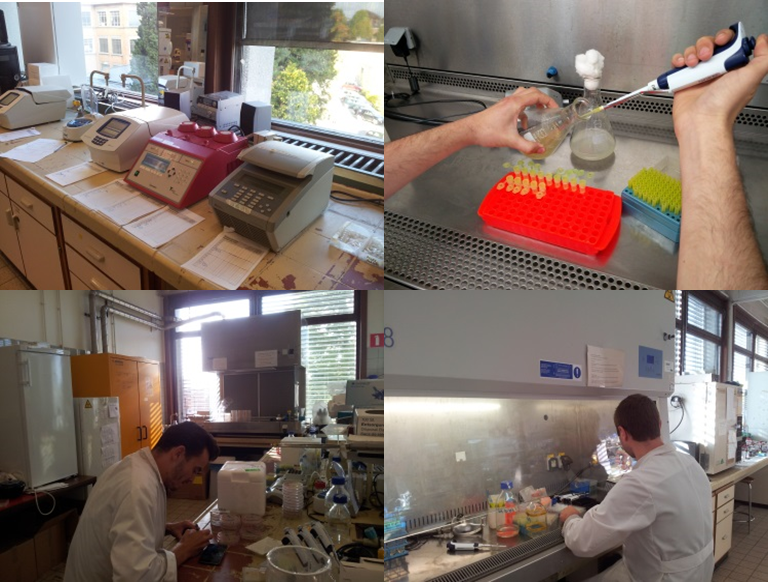 Our experimental work is done in a GMO class 2 laboratory at the Department Biochemical and Microbial Technology at Ghent University. 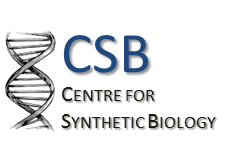 The Faculty of Bioscience Engineering at Ghent University, where our lab is situated, has its own facultary Biosafety Committee (only Dutch version of the website available). This committee makes sure the researchers are aware of the International, European and Belgian legal framework concerning biosafety. All activities of this committee take place in close consultation with, amongst others, the facultary Environment, Hygiene and Safety Committee, the facultary Ethics Committee and with some Rectoral Services. The Cartagena Protocol on Biosafety to the Convention on Biological Diversity (signed by the Community and its Member States in 2000. The Council concluded the Protocol on behalf of the Community through the adoption of Decision 2002/628/EC) The precautionary principle - No. 15 of the Rio Declaration adopted at the 1992 UN Conference on the Human Environment and Development. 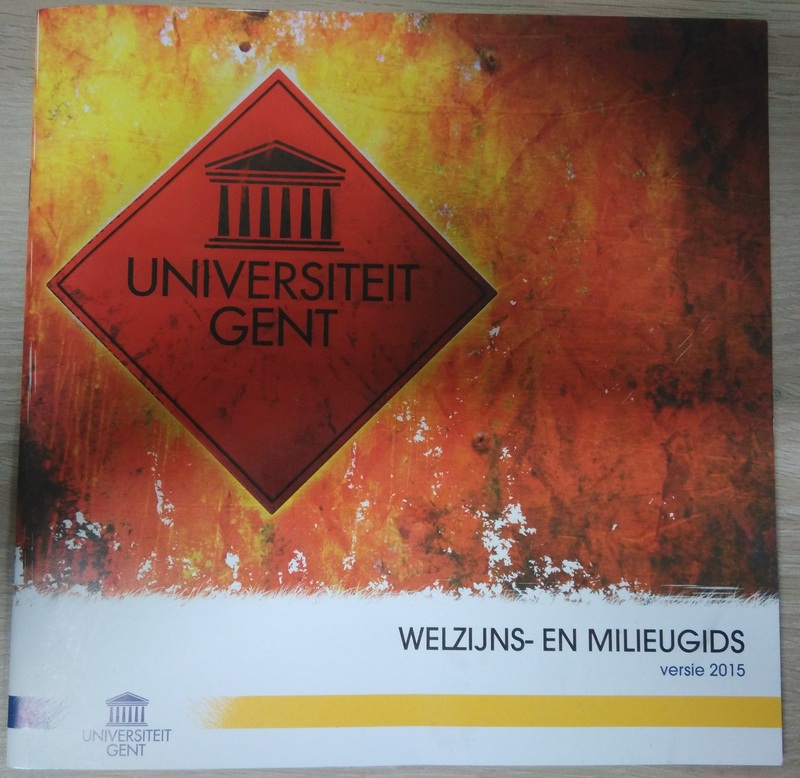 Every person who works in one of the labs of Ghent University must know and act according to certain regulations. This means that each team member signed the Laboratory and workplace regulation in which he/she declares to have taken note of these regulations, to have received a specimen of these regulations and to follow the guidelines/obligations which arise from these regulations. This also includes always wearing a lab coat, safety glasses and gloves when necessary. Guidelines more specific for working with GMOs can be found in the Biosafety in the laboratory document provided by the Flanders Interuniversity Institute for Biotechnology. 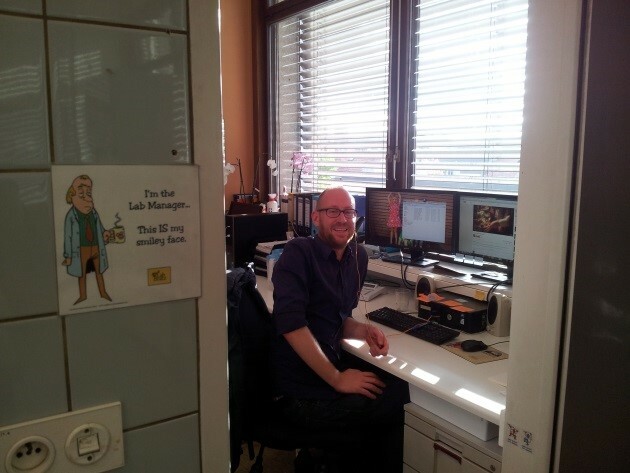 Our lab has its own Lab Manager, Gilles Velghe, who coordinates everything in the lab and is responsible for running the laboratory safely and efficiently. In addition, every member of our team got a (bio)safety and waste disposal training before performing our experiments in the lab. This training focused especially on the safe use of ethidium bromide, which we use as dye for DNA detection in gels. During the eventual execution of our experiments, we were supervised by our instructors who made sure we performed everything according to the safety regulations. In our lab, all glass work that has been in contact with biological material is disinfected with bleach and autoclaved before it is re-used, making sure no living micro-organisms are remaining. When applying bleach, we wear gloves as it can cause skin irritation. Also, benches and flows are regularly cleaned with Umonium, a broad activity spectrum disinfectant. Additionally any cultures that leave the lab are tested, in order to prevent contamination of other external laboratories. The computer-aided design of the shape and the development of the software for the controlled environment were performed in the simulation lab. Apart from our team, the people residing in this lab are specialized in developing mathematical models for a wide variety of applications such as waste water treatment, bioinformatics and urban air quality monitoring. 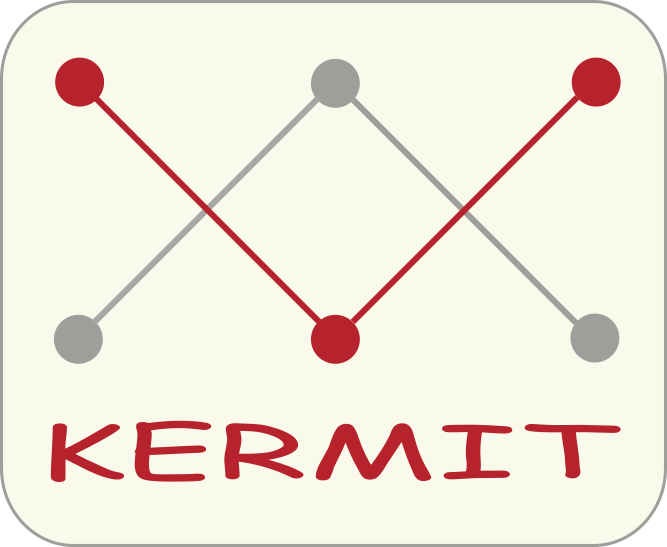 Due to the diverse nature of the expert knowledge in this lab, it is an ideal environment for the development of out-of-the-box ideas for the computer-aided design of the dewpal and humidistat. Most of the dewpal prototypes were 3D-printed at UGent's FabLab, were an assortment of tools, 3D-printers and other computer controlled machines are available for this cause. 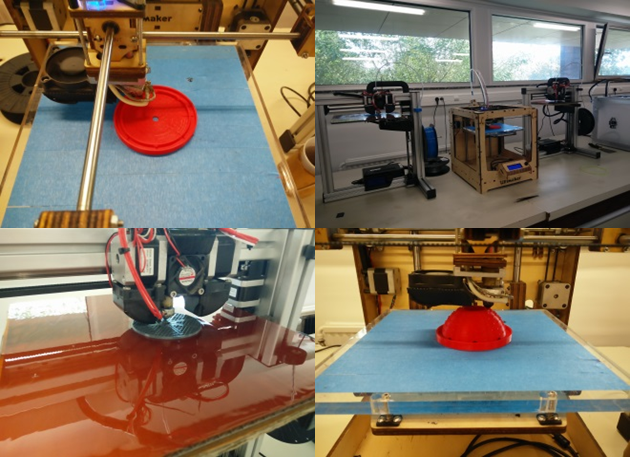 Under the expert supervision of Kurt Van Houtte, FabLab's coordinator, a handful of 3D-printers were put to work for the creation of dewpal water collectors in all sizes and shapes. Our bacteria, Escherichia coli strain DH5a, Escherichia coli Top10 and Escherichia coli K-12 MG1655 are standard non-pathogenic laboratory bacteria belonging to risk group 1. According to this classification it is unlikely that they will cause human or animal disease. In the dewpal project, these strains are genetically engineered. This brings along no additional risk as the engineered strains are merely used as ‘cell factories‘ in an enclosed environment. The cells themselves will not be used in applications, but only the cell-free bio-molecules they produce. Furthermore, the environment will not be exposed to these modified organisms thanks to contained use and standard GLP. Nevertheless, one should be aware of the public perception related to the use of GMOs for biotechnological applications, although it is in general less problematic compared to GMO plants or animals. All experiments were carried out in a contained laboratory environment (GMO-class 2 laboratory). If containment fails, however, our project poses minimal risks for public and for the environment. Bacteria often have the capability of transferring genetic material, especially when self-transmissible vectors are used. As often done in practice, the vectors in our experiments are not self transducible, avoiding genetic material from being easily transferred. For our project, in one approach we are attaching modified E. coli Top10 cells to our water collector. As the water gets collected, there will be a small risk that the attached bacteria will also find their way into the collected water. Our used bacteria strain is however a risk group 1 organism, with little to no risk for causing disease in humans. For our prototype, no further safety measures are therefore taken. For future development, there are several paths that can be taken to make the collected water even more safe for drinking. The first could be to add a killing switch to the bacteria, or make the E. coli auxotrophic. Ideally, we could transplant the whole engineered system into a GRAS bacteria already used for feed application and probiotica such as Lactobacillus sp., and Bifidobacterium sp.